*Some cabins are Pet Friendly, however please make inquiry prior to making a reservation by calling us at 828-488-1005. No smoking allowed in any of our cabins - only outside if you must. 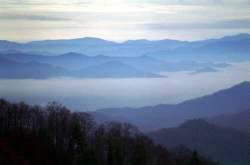 Walking distance to Deep Creek and Great Smokey National Park. Closest Cabin Rentals Available! Country setting within walking distance of small town atmosphere (Bryson City). Ceiling fans, A/C, fully equipped kitchen, microwave, linens & towels, TV with Satellite, firepit. Great view from porch with rockers. White water rafting, tubing down Deep Creek. Great Smokey Mountain Railway only minutes away. Year round rental - nightly, weekly and monthly rates. Cherokee Reservation and casinos, 10 minutes away. Trout and Bass fishing on Fontana Lake. Gem mining, horseback riding, mountain trail hiking, and golfing only minutes away! Convenient to the Biltmore House, Dollywood, Gatlinburg, Pigeon Forge, and the Blue Ridge Parkway.